There are a thousand reasons to visit Naples: majestic Vesuvius, incomparable Neapolitan Pizza, breathtaking Capri and Ischia, unmissable archaeological sites (Pompeii, Herculaneum, the National Archaeological Museum), beautiful weather, beautiful people. 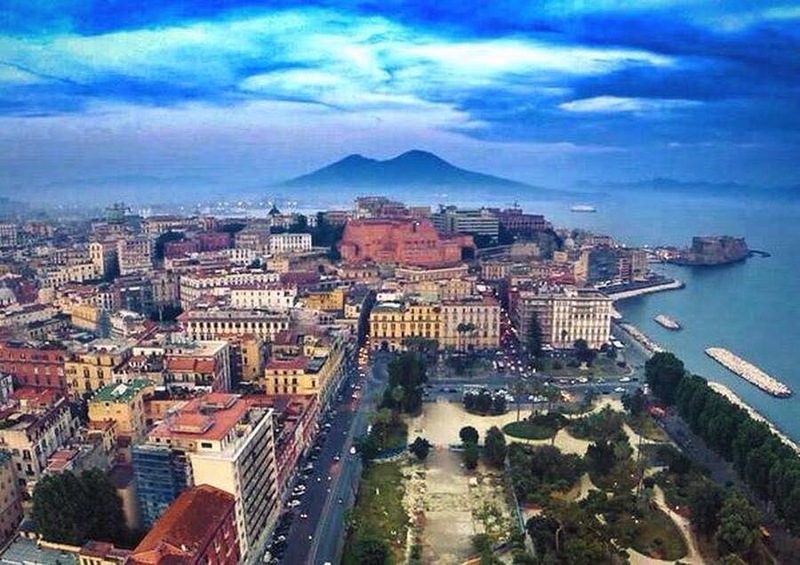 Naples was the backdrop for Admiral Nelson’s love affair with Emma Hamilton: a commercial, political and cultural hub that was a key destination of Victorian Grand Tours. A city littered with treasures that will fill the discerning tourist with unforgettable memories: jewels such as the Veiled Christ, Subterranean Naples, the Christmas market at San Gregorio Armeno; a short trip and you are at the Palace of Caserta, a boat ride and here’s Sorrento and Amalfi. Confused? My friend Mario can help organise your Grand Tour. I go to Naples for a special reason: an almost yearly pilgrimage to my old school, “Nunziatella“. It owes its name to the beautiful church “della Santissima Annunziata”, a masterpiece of Neapolitan Baroque and forever the School’s chapel. Every year, thousands flock here to celebrate the School’s birthday and participate in a public ceremony that has impeccable pupils and rowdy alumni parade together in the city’s main square: Piazza del Plebiscito. It is one of those occasions where you experience the difference between a thousand friends on Facebook and a thousand friends in the flesh. The defining feature of this kind of reunions is that, over the years, they play in your mind like time-lapse photography. Same places, same occasion, same dress, same faces… You blink and you are in the fullness of youth; you blink again and you’re ambling with a stick. Sensing the infinite, Leopardi ended thus his most famous poem, l’Infinito, describing “how sweet it feels to be shipwrecked in such a sea“. Morale of the story: during our lives’ grand tours we spend a good deal of effort trying to be different in pursuit of individual achievement. However, we often forget that true fulfilment is found in the self-effacing embrace of community: the power of “me” times a thousand.